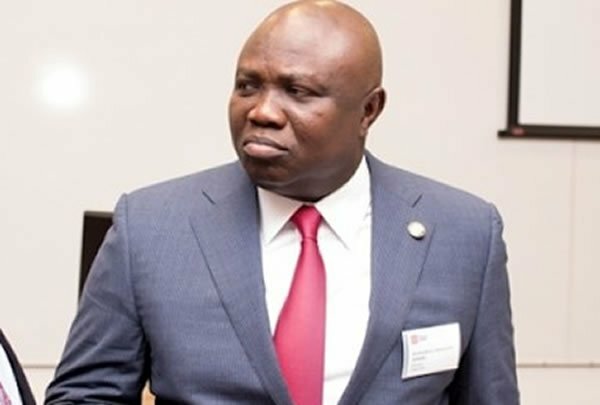 Ebun-Olu Adegboruwa, an eminent lawyer and human rights activist, has given Governor Akinwunmi Ambode and the Speaker of the Lagos State House of Assembly notice of his intention to file a case in court to challenge the imposition of fines on motorists with expired vehicle documents. This is contained in a letter dated February 11, 2019, in which the informed the governor and the speaker, of an alarming post currently ciruculating on the social media, about hidden cameras mounted in strategic areas in Alausa, to be deployed to capture and read the particualrs of all vehicles and any vehicle discovered to bear expired docuemnts will be subject to a fine of N20,000 or the said vehicle will be impounded. Adegboruwa is contending that the government of Lagos State has no power to impose any fine on any citizen without a law defining and prescribing such a fine, after a full trial before a court of law. He is relying on section 36 (12) of the 1999 Constitution to argue that no citizen can be subjected to any conviction of payment of a fine unless there is an existing law covering such fine. He said that upon receiving several calls and messages from concerned citizens, he searched all the laws of Lagos State and could not find any law authorising such imposition of fine on motorists. He therefore wants Ambode and the speaker to furnish the particulars of such law and if there is none, they should immediately debunk the alarming information since it is already creating fear of the unknown on many Lagosians who are now scared to go out. Adegboruwa then infomed the gvernor and the speaker that if indeed there exists such law, he would challenge it by filing a case at the High Court to seek a declaration to nullify it as illegal, unconstuttional, null and void and an order of injunction to restrain its implementation. “Sir, it is the requirement of the newly enacted High Court (Civil Procedure) Rules of Lagos State, 2019, that all avenues of resolution of potential court cases be explored, before proceeding to file any case in court. I will thus be glad to meet with any official of the State, to be better educated and enlightened on this development. I also do humbly suggest, where this alarming information is not correct, that steps be taken to alert all residents of Lagos State on the true state of affairs,” the lawyer said.